Can you give Posie the greyhound a home in the Midlands? Can you give this greyhound a home? All of our greyhounds are neutered, micro-chipped, vaccinated, wormed and flea-treated and come with 4 weeks’ free insurance with Petplan. If you’d like to fall in love with Posie, then please call us on 0121 426 4810 or contact us to come and meet this lovely hound at our Watford Gap Kennels near Sutton Coldfield. Do greyhounds make good pets? Can they live with cats and small children? How much do they eat? Are they susceptible to specific diseases? Do they need lots of space? If you’ve got questions, we’ve probably got the answers. See our guides to everything grey! Why do greyhounds make such great pets? Here’s our myth busting guide to greyhounds! Here’s our guide to the most commonly asked questions about greyhounds as pets. Please enter the amount you wish to donate, all donations are processed securely by PayPal. You need a PayPal account to make a donation. Thank you for your support, every donation helps us to find loving homes for more hounds. Acceptance of any contribution, gift or grant is at the discretion of Greyhound Trust Hall Green. Greyhound Trust Hall Green will not accept any gift unless it can be used or expended consistently with the purpose and mission of Greyhound Trust Hall Green. 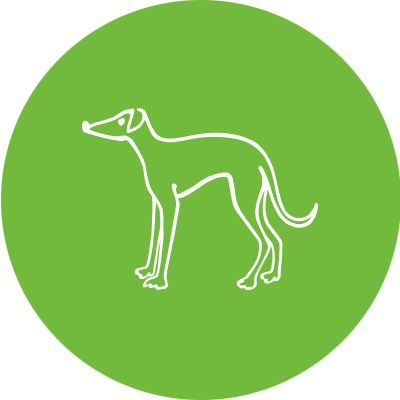 Greyhound Trust Hall Green will refrain from providing advice about the tax or other treatment of gifts and will encourage donors to seek guidance from their own professional advisers to assist them in the process of making their donation. Greyhound Trust Hall Green will accept donations of cash or publicly traded securities. Gifts of in-kind services will be accepted at the discretion of Greyhound Trust Hall Green. Certain other gifts, real property, personal property, in-kind gifts, non-liquid securities, and contributions whose sources are not transparent or whose use is restricted in some manner, must be reviewed prior to acceptance due to the special obligations raised or liabilities they may pose for Greyhound Trust Hall Green. Greyhound Trust Hall Green will provide acknowledgments to donors meeting tax requirements for property received by the charity as a gift. However, except for gifts of cash and publicly traded securities, no value shall be ascribed to any receipt or other form of substantiation of a gift received by Greyhound Trust Hall Green. Greyhound Trust Hall Green will respect the intent of the donor relating to gifts for restricted purposes and those relating to the desire to remain anonymous. With respect to anonymous gifts, Greyhound Trust Hall Green will restrict information about the donor to only those staff members with a need to know. Greyhound Trust Hall Green will not compensate, whether through commissions, finders' fees, or other means, any third party for directing a gift or a donor to Greyhound Trust Hall Green. Sign up to receive the Hall Green newsletter. You can unsubscribe at any time. Copyright © 2019, Greyhound Trust Hall Green, All Rights Reserved.